Richardson, Texas (June 21, 2012) – The Hive Group, the world’s leading provider of treemap interfaces, today announces the release of Honeycomb Rich 5.10. The latest release builds on a twelve year history of innovation around treemap interfaces--and their use in operational contexts. According to both formal usability studies and academic research, the treemap representation of data offers a more accessible, useable, and higher-utility method of analyzing and acting on structured data. Many treemap offerings deliver superficial functionality. The Hive Group, in contrast, designs with operational use in mind; and with Honeycomb Rich 5.10 the tradition continues, resulting in more functional depth than ever before. For example, Honeycomb Rich 5.10 introduces advanced logic to filter controls. Especially useful for navigating large data sets, the new Dynamic Filtering feature allows designers to link specific filters in support of end users’ decision processes. Dynamic Filtering cascades across multiple levels of designated filters and is fully configurable. Honeycomb Rich 5.10 brings improvements to existing functionality as well. For instance, Image Export has been enhanced. New flexibility around invoking Image Export is complemented by improvements in performance--making it easier than ever to export to popular formats like PNG, SVG, and PDF. “Whether for our commercial customers or our public sector customers, it’s quite common to see Honeycomb used in support of very strategic initiatives, sensitive projects, and otherwise noteworthy causes. Some customers have categorized our software as ‘mission important.’ Others have mandated its use operationally. With these realities in mind, our goal remains very simple: We strive, every day, to create software that will truly make a difference for our customers and the ways they use our products,” said Dan Struebel, Director of Strategic Accounts at The Hive Group. “You cannot overstate The Hive Group’s responsiveness to the needs of their customers or their commitment to continual improvement of the treemap interface. Every release they again demonstrate their dedication to crafting treemaps into an indispensable decision-making tool, not just a collection of pretty pictures,” said Peg McMahon, Capacity and Performance Management at Sprint Nextel. Sprint Nextel offers a comprehensive range of wireless and wireline communications services bringing the freedom of mobility to consumers, businesses and government users. Sprint Nextel served more than 56 million customers at the end of the first quarter of 2012 and is widely recognized for developing, engineering and deploying innovative technologies, including the first wireless 4G service from a national carrier in the United States; offering industry-leading mobile data services, leading prepaid brands including Virgin Mobile USA, Boost Mobile, and Assurance Wireless; instant national and international push-to-talk capabilities; and a global Tier 1 Internet backbone. The American Customer Satisfaction Index rated Sprint No. 1 among all national carriers and most improved in customer satisfaction across all industries during the last four years. Newsweek ranked Sprint No. 3 in its 2011 Green Rankings, listing it as one of the nation’s greenest companies, the highest of any telecommunications company. You can learn more and visit Sprint at www.sprint.com or www.facebook.com/sprint and www.twitter.com/sprint. The Hive Group specializes in visual analytics, developing advanced treemap interfaces for operational and financial analysis. Customers include major manufacturers, financial services organizations, communications companies, retailers, natural resources companies, military branches, and many government agencies. The company’s interfaces are used to analyze performance, manage assets, identify anomalies and trends, assess risk and compliance issues, and more. 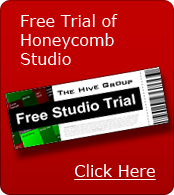 The company’s treemap software, Honeycomb, has been commercially available for over eleven years. Honeycomb and “Business at a glance” are trademarks of The Hive Group, Inc. All marks, products, and/or service names and symbols mentioned herein are trademarks and are the property of their respective owners.